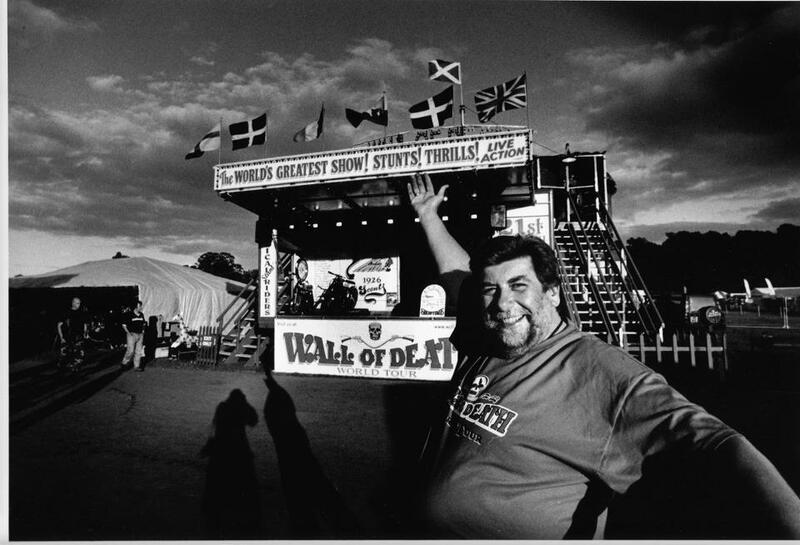 Neil Calladine is the spieler of our show and plays an integral part of encouraging and explaining to the public that this is the greatest show on earth! 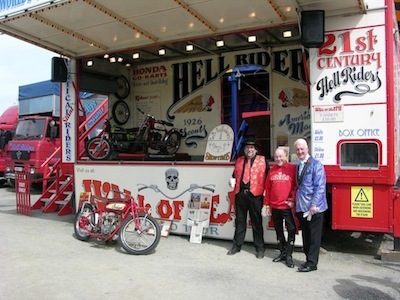 It all started at Rempstone Steam Rally where Ken Fox met Neil exhibiting his model wall of death and old wall pictures. After a quick chat Neil came along to visit Ken at his wall just as he was about to open. 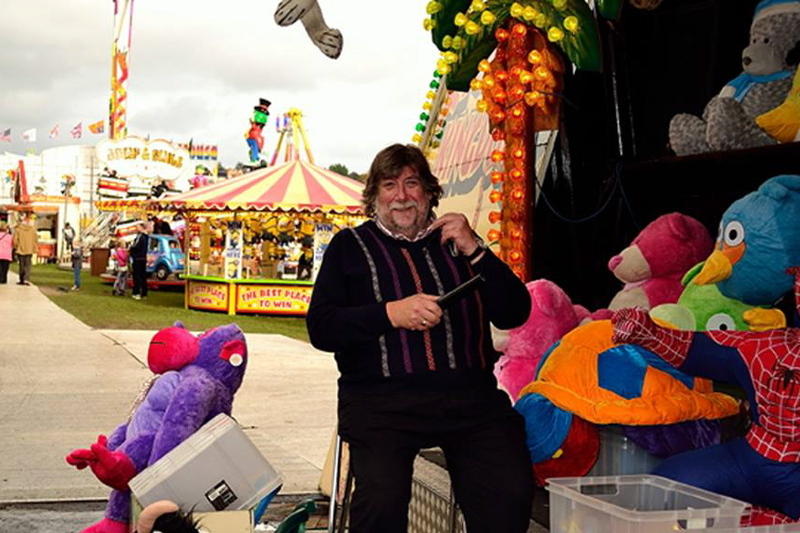 Much to his surprise Ken handed him the microphone and said "you do it"
One of the bikes was acting up and unfortunately Ken's previous speiler had left the day before and as Neil knew what he was talking about regarding walls of death he was trusted with the job role. Neil says "I only knew about three lines and must of bored everyone to death! but Ken seemed pleased"
From that Ken booked Neil to spiel as many more shows as he could for the rest of the season. They later spoke in the winter and now many years on Neil still spiels the show. "step inside now! step inside, see the fabulous wall of death, with walls as straight up and down as the walls in your very own home"